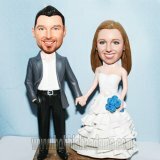 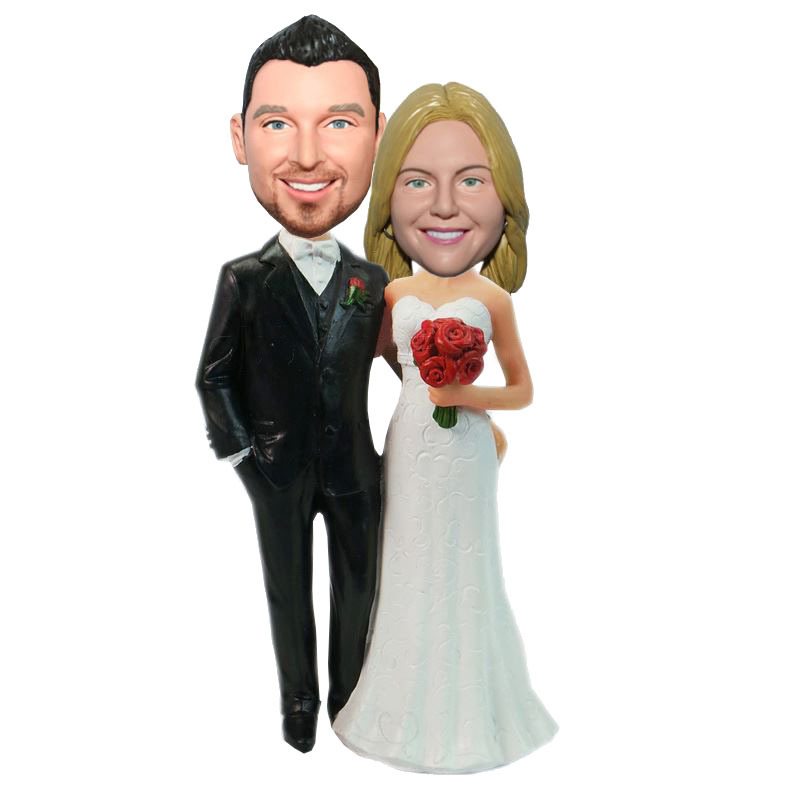 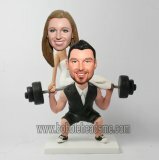 With one hand on the pocket and the other on his wife's waist,this custom wedding couple bobblehead is full of love.It definitely can surprise the newlyweds in the wedding ceremony.Imagine how the guests and new couple will react on this bobbling figurines. 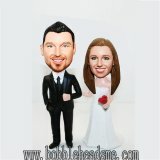 Especial when you tip the heads and make it bobble. It will become a hit in the wedding ceremony.